How Long After You Bake Should You Put Icing on a Cake? 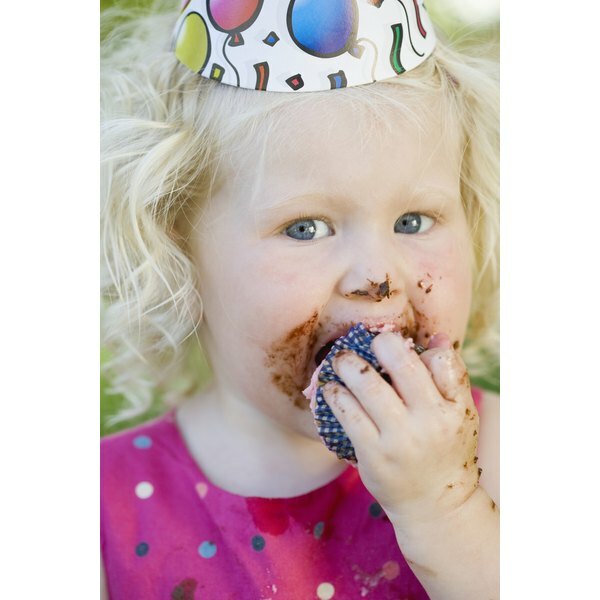 Cupcakes are uncomplicated for children to eat. 2 How Long After You Bake Should You Put Icing on a Cake? Cupcakes are useful in making designs that look like a whole cake but actually pull apart. The pull apart cakes are an enjoyable idea for kid's birthday parties and other occasions. All the children have to do is grab a cupcake from the design to partake of the tasty dessert. Making a crown out of cupcakes is not an arduous task and is sure to make your little girl feel like a princess on her special day. Edible decorations add faux jewels and a sparkly touch to the princess crown. Set your cake board on your work surface. If you don't have a cake board, use a sturdy, square shaped piece of cardboard and cover it with aluminum foil to provide a shiny and clean surface for the princess crown cake. Position three rows of regular size cupcakes on your board in a rectangle shape. Three rows of five work well or increase the rows if you desire, depending on the number of people you are serving. Push the cupcakes as close together as possible. (see ref 1 diagram) Once frosted, it looks like a regular cake. Set six mini cupcakes at the top edge of the crown, with two on the top left, two along the top middle edge and two on the right top edge. Place another mini cupcake above each set of two. Position them so that it sits near the center edge where the two mini cupcakes below it meet. Spread the frosting over the cupcakes by dragging it across the cupcakes with a rubber spatula.They tend to slide a bit at first until the frosting "glues" them together, therefore keep the cupcake still by holding them with your non-dominant hand while frosting. The rectangle shape forms the base of the princess crown and the mini cupcakes form the crown points. Allow the frosting to fill in the gaps between the cupcakes. Wait about 10 minutes to see if the frosting seeps down in the gaps. If so, just add more frosting. Cut star or gem shapes out of the fruit leather with a sharp knife. Place them wherever you desire on the princess crown. Another option is to cut gum drops in half and set them on the cake with the cut edge facing up to represent gemstones. Sprinkle silver or gold dragees over the princess crown pull apart cake to enhance the look of the faux gems. Cupcakes freeze well for up to two months. Bake your cupcakes and allow them to cool completely before freezing in an airtight container. Thaw them before decorating for the party. This saves time, particularly if you are hosting the party and preparing other foods. If you don't have a baker's piping bag, you can pipe different-colored frosting designs on your princess crown cupcake cake by filling a zipper-style sandwich bag halfway full of the frosting. Draw the designs on the crown frosting with a toothpick to help you with the designs. Squeeze out the excess air in the zipper-style bag and then seal it. Twist the end of the bag without the frosting in it until the frosting is forced into the corners of the bag. 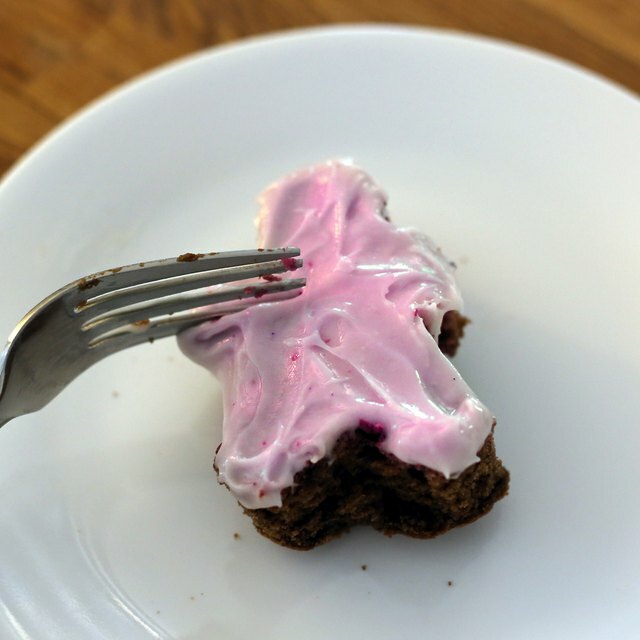 Snip off a tiny section of the corner and then squeeze the frosting out by holding it in the palm of your dominant hand. You can outline designs on the princess crown or fill them in with the frosting. Add hearts, stars or swirls on the princess crown cake with the piping or trace sections of the crown to make them show up better. Another idea is to write "Happy Birthday" or the guest of honor's name with the piped frosting. Chelsea Fitzgerald covers topics related to family, health, green living and travel. Before her writing career, she worked in the medical field for 21 years. Fitzgerald studied education at the University of Arkansas and University of Memphis. How do I Decorate Muffins With Sugar Crystals? Do You Give Children Gifts at Passover?